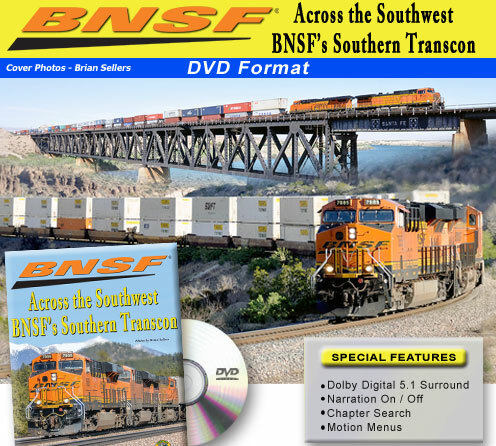 Our Journey across the southwest will cover a distance of more than 300 miles through some of the most beautiful but desolate landscape in BNSF's Western region. We’ll follow the Seligman and Needles Subdivisions from east to west making extended stops in both Crozier and Kingman Canyons in Arizona. We’ll also visit the Grand Canyon Railway in Williams and the Arizona and California Railroad interchanging with BNSF in Cadiz California. From the HD Camera of Brian Sellers, this program features Gorgeous Western Scenery, Great Photography Composition and Lighting for an Awesome Audio Visual Experience!